Last Sunday we went to Regency Palace for dim sum. Some of the best tasting Chinese food in Calgary’s Chinatown. I hadn’t been to Regency Palace in a long time, but we used to go quite often. The thing that has impressed me about Regency Palace is their attentiveness, and their obviously strong desire to serve you as best they can. We’ve gone for dim sum as well as for dinner and every time, the servers have been very diligent in cleaning off unused dishes from the table and are always close by to make sure your needs are being promptly attended to. Everyone there, from the servers, host/hostess, bar tenders and even the manager(s) are always working to make sure your experience is a great one. They have a "if it needs to be done, I’ll do it" kind of attitude which is a nice change from the "it’s not my job, I’ll get someone else for you" kind of attitude that seems to be so common these days. On Sunday, Jack Lee, the restaurant manager (owner too maybe?) came by to our table to ask me if I wanted another Pepsi. We ended up getting into a short conversation about Pepsi vs. Coke (I much prefer Coke) and then he left to get me my drink. When he came back with it, he said to me in a jokingly sort of way "I only deal with Pepsi because they’re the best." But then he went on to explain: "Coke is too big of a company and they really don’t care. Pepsi gives me much better service. I’m in the service industry so I have to make sure I align myself with companies that have the same philosophy as I do so that I can better serve my customers." You could tell he really meant it too. He came back about 30 seconds later (he went to talk to our server) and then added "this one’s on the house." It was a very nice gesture and it didn’t cost him much – it didn’t save me all that much either – but the gesture went a long way in making the three of us feel like our business was very much appreciated. Service. 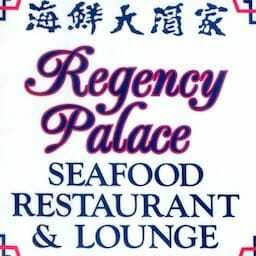 If you’re going to Chinatown, Regency Palace is definitely a place to check out – we’ve had their dinner buffet only once or twice and it’s nothing spectacular – instead, order from the menu, it’s much better. Regency Palace was published on Wednesday, May 7, 2008 at 12:27pm MDT by Daniel Menjívar and last updated on April 11, 2018 at 9:30pm UTC .